Homeowners and home buyers in Scotch Plains are smart to learn about the real estate market to help make an informed decision about when to buy and sell a home in Scotch Plains . Here’s what’s been happening lately. 40 homes were sold in Scotch Plains in June – compare to a 12 month average of 29 homes. An increase in sold homes in Scotch Plains indicates that buyers find Scotch Plains real estate very attractive. Inventory is actually up this month as more sellers realize that this summer is a great time to get their homes on the market. 171 homes were offered for sale in Scotch Plains in June – compared to the 12 month average of 146 homes. You can see from the overall trend line in the graph below that inventory trends downward over the past 6 years. As inventory shrinks, demand for homes usually increases. This can help to raise prices and/or shorten the length of time homes are on the market. Average sale price in Scotch Plains in June was $622,850 – compare to the the 12 month average sale price of $579,190. Average list price in Scotch Plains in May was $680,061 – compare to the 12 month average of $692,619. Consumer confidence helps increase prices. Scotch Plains home prices vary seasonally and the trend line indicates steady growth over the past 6 years. In June, the average sold home in Scotch Plains was on the market for 29 days – compared to 34 days in May and the 12 month average of 51 days. The speed of a home sale is dependent on home condition, pricing, and marketing. Homes typically sell slower in the winter than the rest of the year. Work with a professional you trust who can help you navigate the muddy waters of bidding wars. Work with your real estate professional to make sure that your home is priced right and marketed strongly! To read more about the real estate market in Scotch Plains, please read our earlier market reports here. 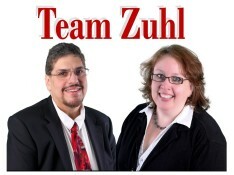 For more information on how Team Zuhl can help you, please call us at 908-917-4189.